It's Just Mobolaji | Music & Entertainment: New Video: Mista Silva - Now Wats Up? New Video: Mista Silva - Now Wats Up? 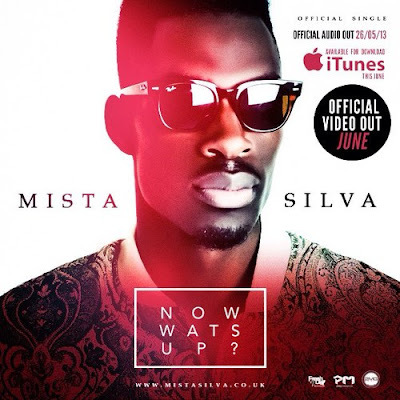 Recently becoming the first unsigned Afrobeats artist to be enlisted on BBC 1Xtra's playlist, for his single ‘Now Wats Up’, Mista Silva unveils the new video to his smash hit single. The UK Afrobeat artist sings in his native tongue ‘Twi’ on the record, looking for his diamond girl. Mista Silva has made a household name for himself in the UK and over in his hometown Ghana, and slowly in other countries in Africa, as well as Nigeria. Mista Silva delivers with black and white visuals, models, high-fashion clothing and dancing. Enjoy!